A model of the Tsiolkovky-inspired spaceship that would take humans to the Moon in the 1936 Soviet movie, Cosmic Voyage. Soviet model makers built this spacecraft model based on the late 19th-century designs and notes of Konstantin Tsiolkovsky, who pioneered the idea of transporting humans into space aboard rockets. 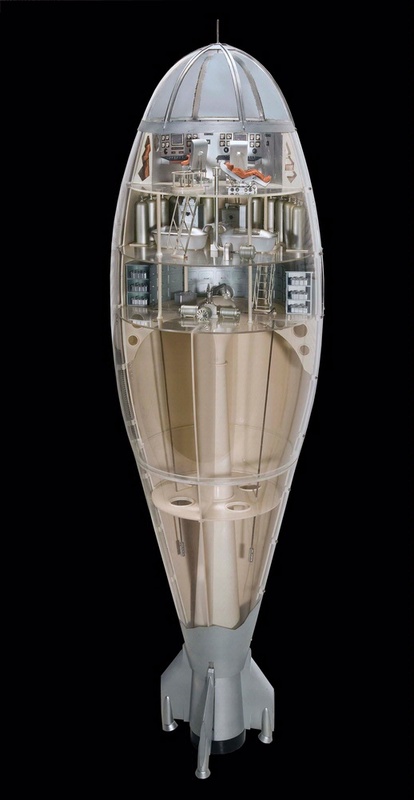 The model grossly overestimates the living space available on such a rocket, but it does reflect an understanding of the physical constraints of space travel known at that time. 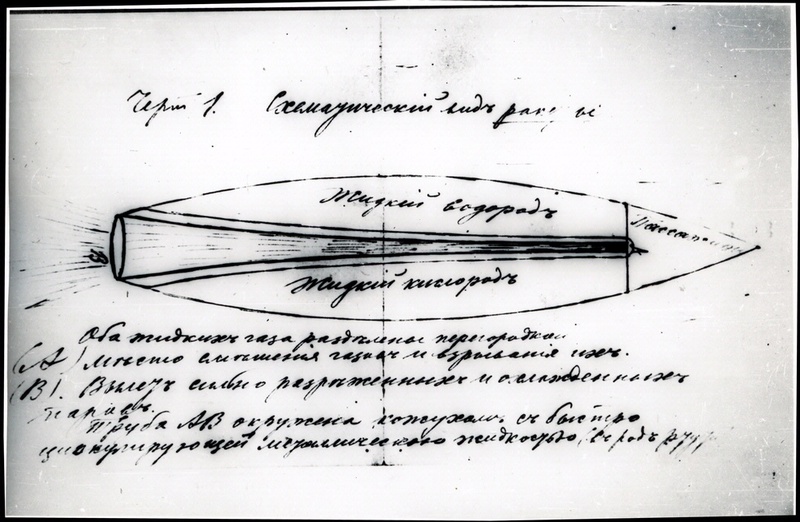 A Russian, Konstantin Tsiolkovsky, was one of the first to imagine space rockets. This model is based on his notes and designs. How does it compare to a modern spacecraft? Find the control room and crew quarters. Can you find three cosmonauts? What are they doing? Spacecraft today also have an area for crew members. Find three things that look like bath tubs. Tsiolkovsky thought space travelers could lie in liquid during takeoff and landing to reduce stress on their bodies. Special seats give today’s astronauts the support their bodies need. Find the pumps that move propellants into the combustion chamber. A full-size spaceship like this could never lift off, because it couldn’t hold enough fuel. Propellants account for up to 90 percent of a rocket’s weight. 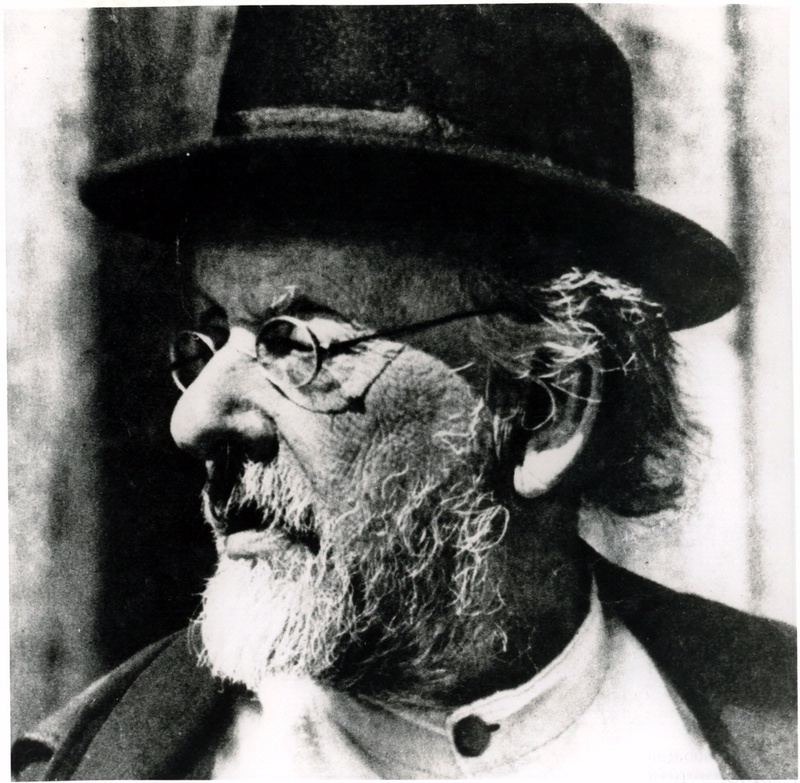 Find out more about Tsiolkovsky Spacecraft Model.